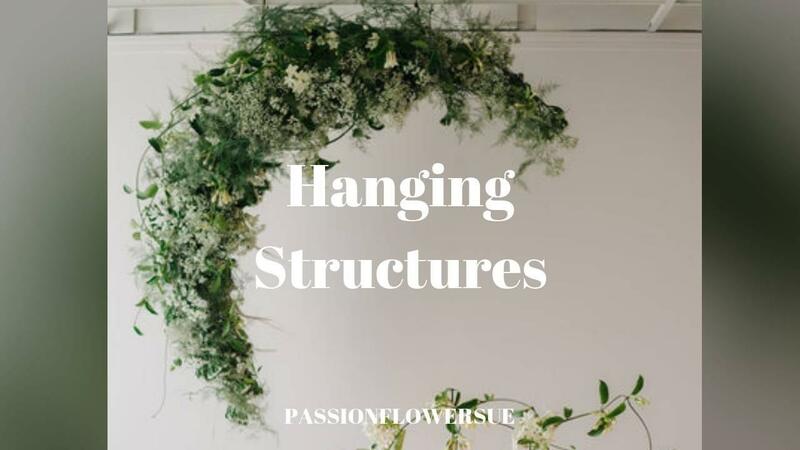 With this tutorial, I hope to demystify the process to make large-scale hanging structures suited for weddings, events, and art installations. There is a way to make these sturdy, reliable, and foam-free- I'm excited to share the techniques that have worked well for me! - Learn how to make a variety of hanging structures using my economical and versatile mechanics. - Bonus design session that will break down the mechanics behind many of my large-scale designs. You can purchase the complete large-scale bundle--Arches, Hanging Structures, and Versatile Garland--HERE.